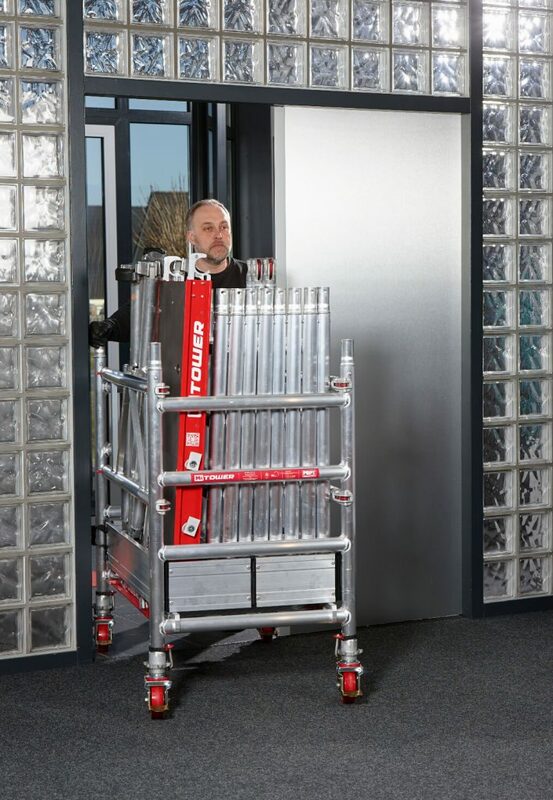 MI Tower is a versatile and high quality one-man rolling access tower designed in accordance with the latest testing and quality standards. 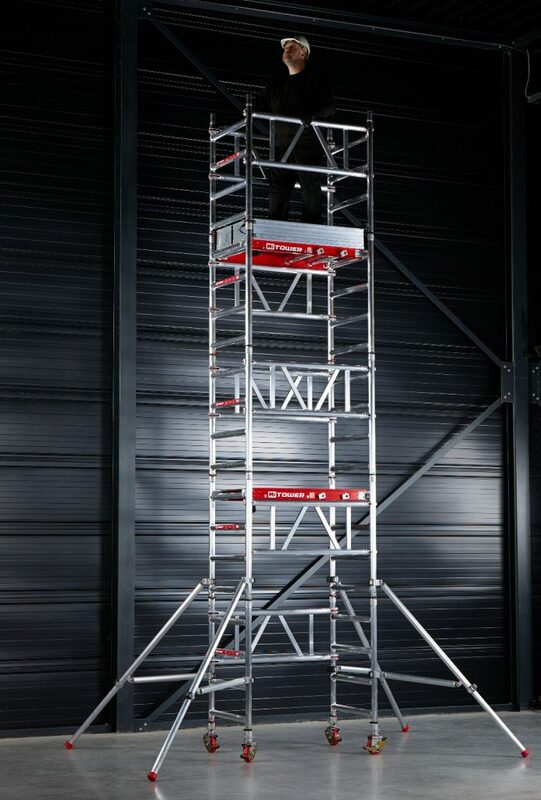 Unlike traditional scaffolding, the innovative MI Tower can be easily and safely assembled by just one person. 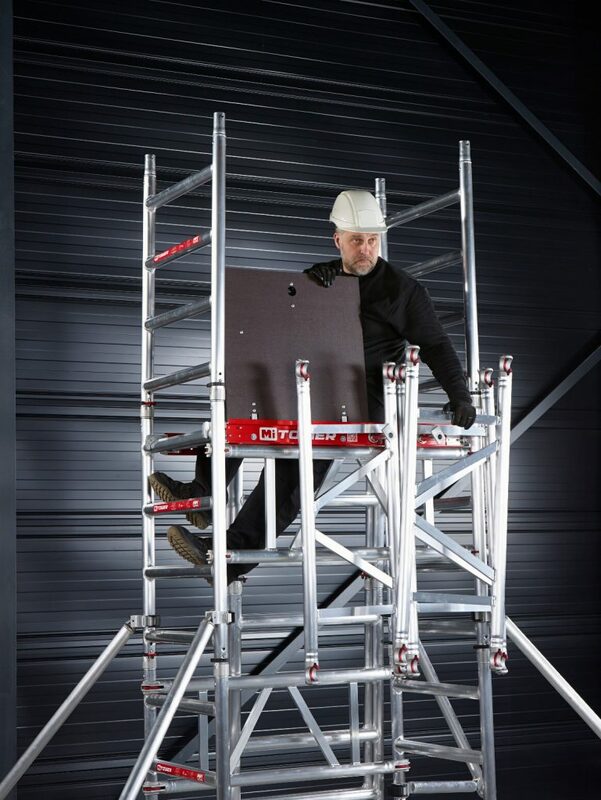 MI Tower is the world’s first one-man, quick assembly access tower, making scaffolding access available to the individual. 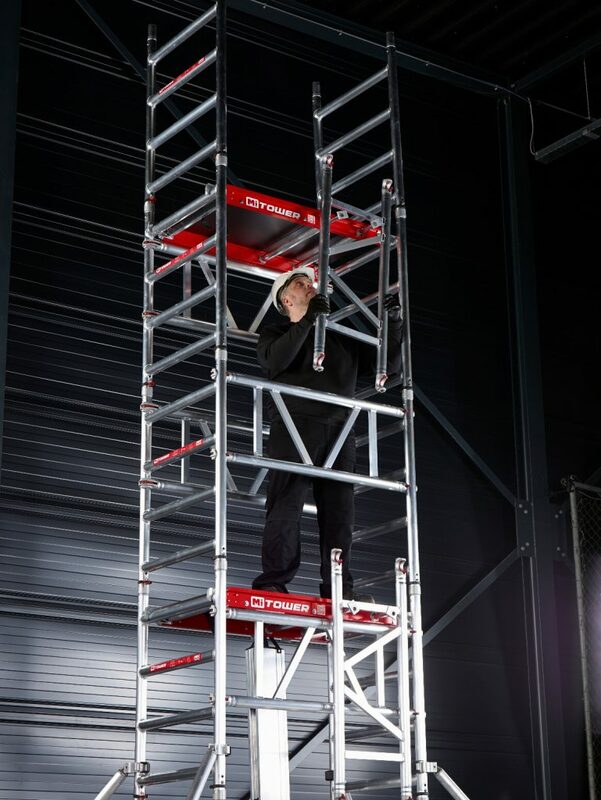 The unique design allows a single worker to erect the sturdy scaffold tower in under 10 minutes, maximising the available working time. 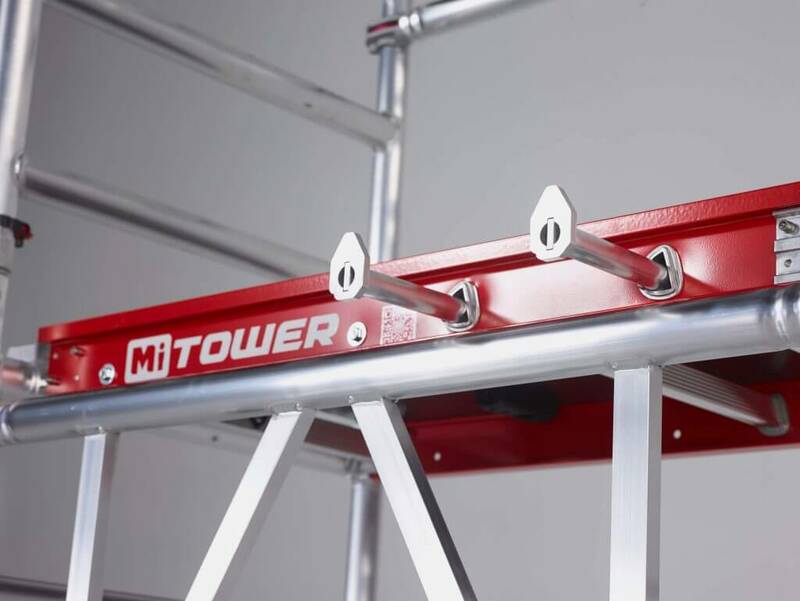 The MI Tower does not compromise on security, with easy-clip frame clips and easy-lock stabilisers creating a stable foundation for working that is straightforward to assemble. 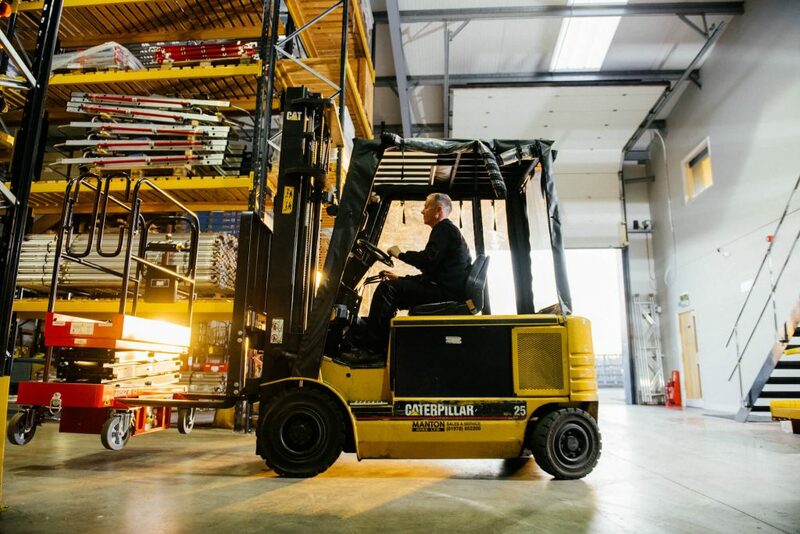 Designed specifically for one-man use, the MI Tower is small enough to fit into tight spaces, making it suitable for use on a range of sites. 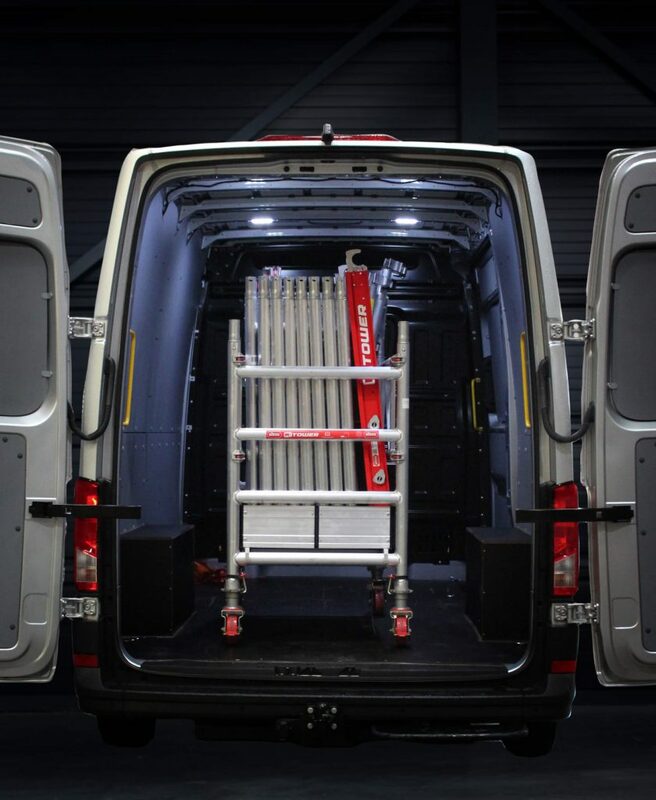 The base of the MI Tower doubles as the storage and transport trolley, making it easy to keep all of the components together when not in use, when being transported and at the job. 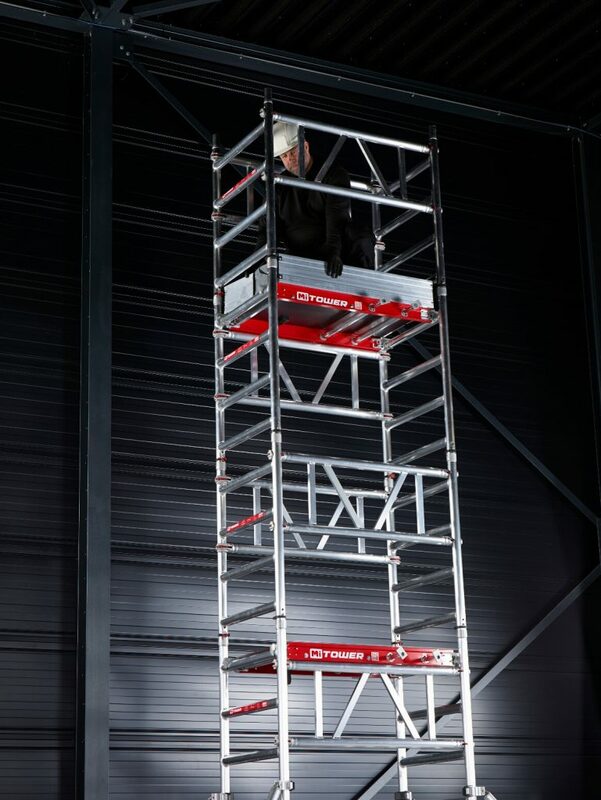 Highest quality, latest testing standards, compactness, and versatility combine with ease of transportation and assembly to make MI Tower a winner. 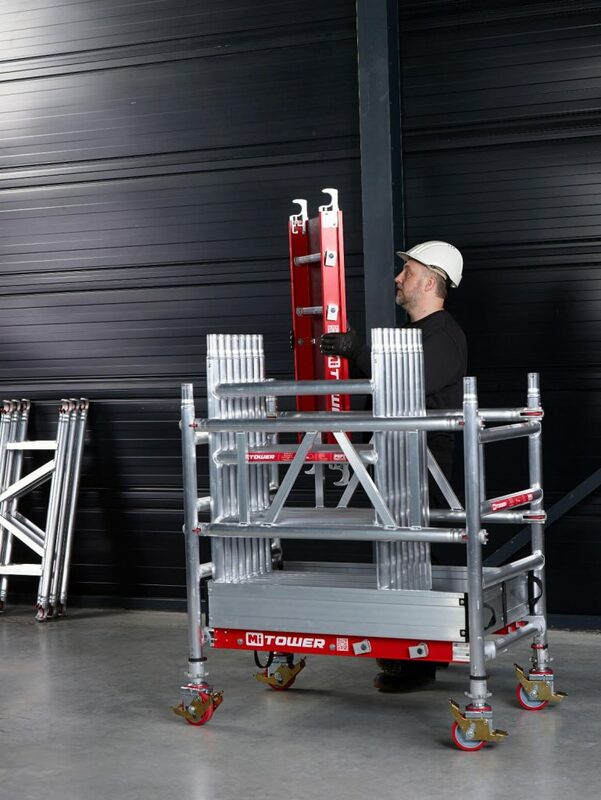 The MI TOWER can be easily and safely assembled by one man, making scaffold access available to solo workers. 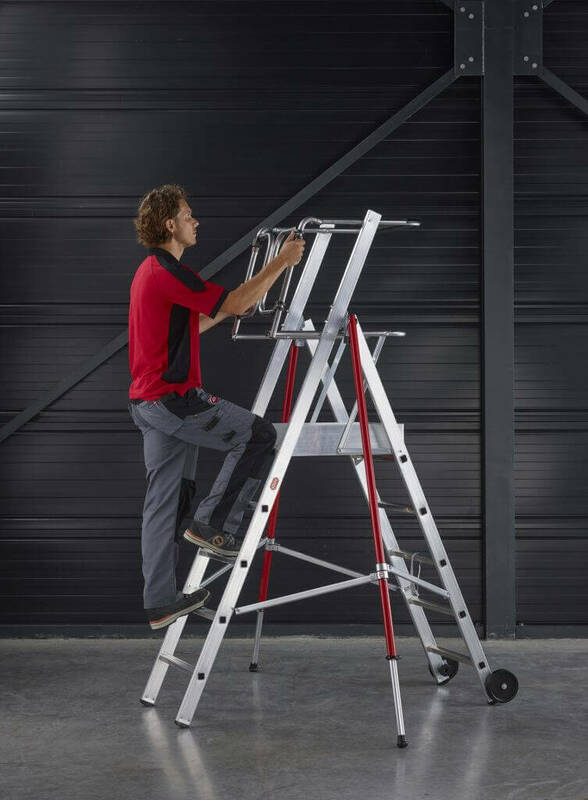 Assembly takes just 10 minutes and the work platform has enough space to comfortably accommodate one individual and their tools. 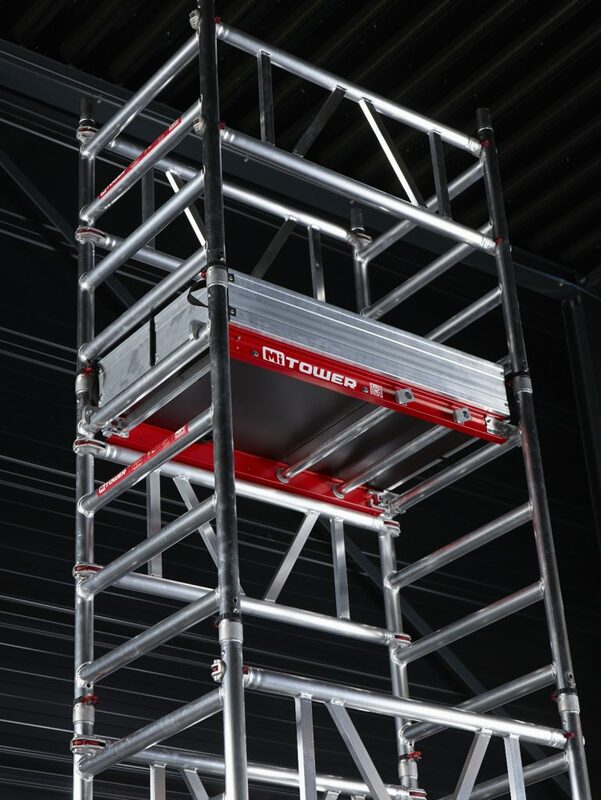 MI TOWER is constructed to the highest quality standards for a robust scaffold tower that is fully compliant with EN1004 Class 3 and comes with an array of safety-enhancing features designed to create optimum conditions for secure working. 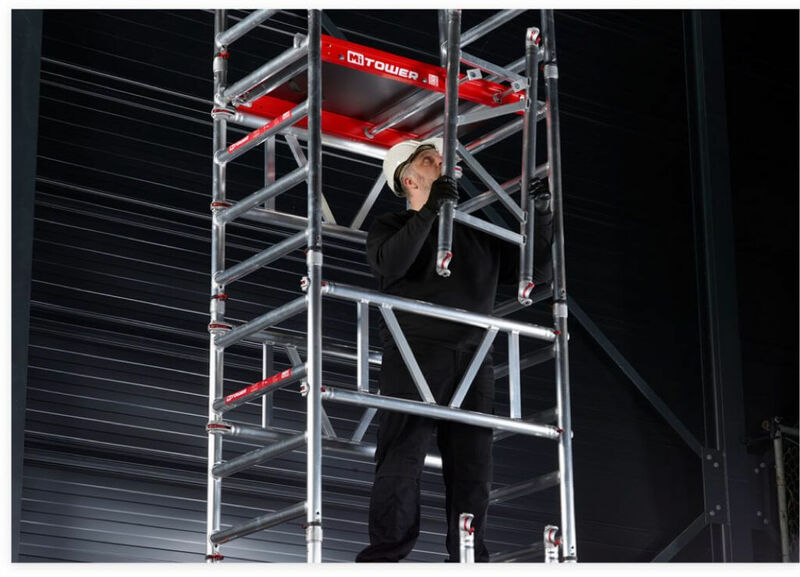 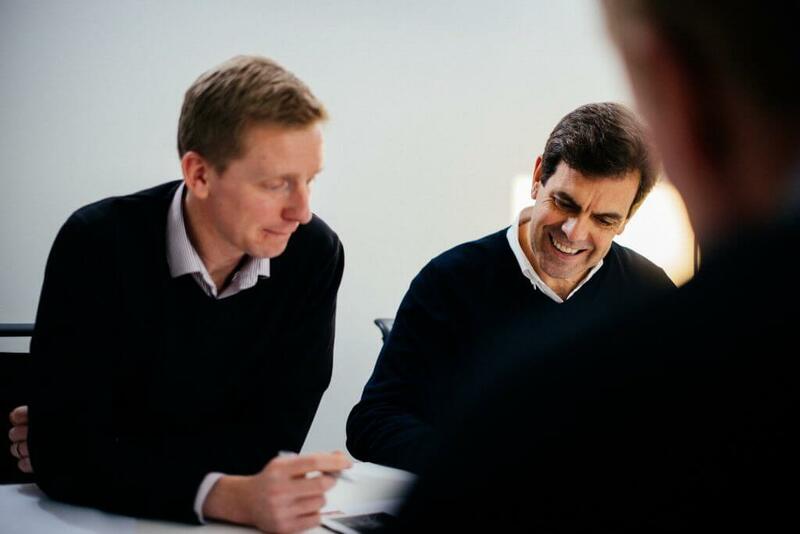 For ease of storage, MI TOWER has been designed so that all components can be safely stored within the tower’s base assembly, which is securely mounted on wheels for ease of movement. 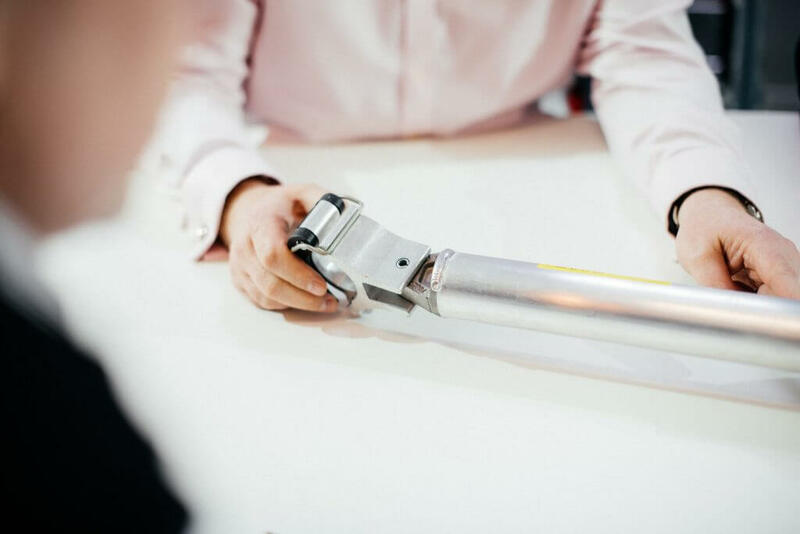 The innovative Easy-Hang hangers provide a convenient place to store materials during assembly and dismantle, and simply slide back into place when not in use. 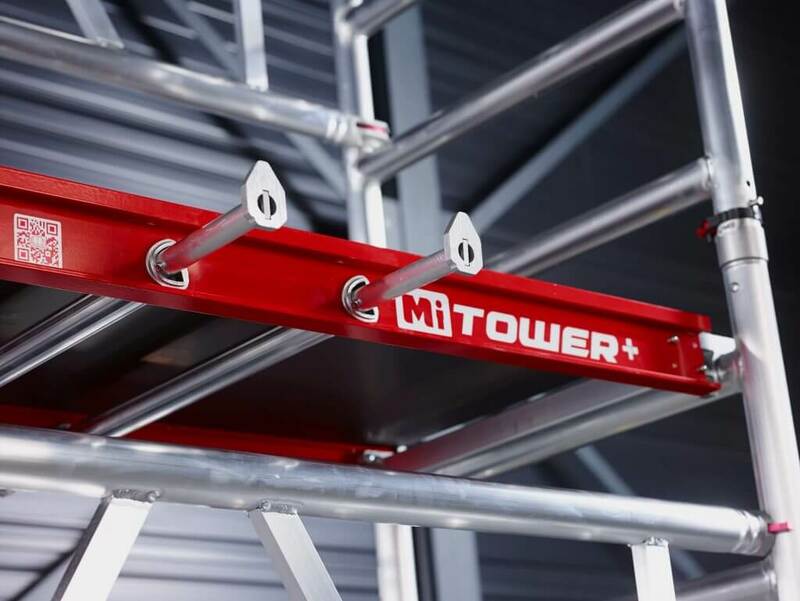 Not only is the storage trolley small enough to make it easy to store, but the MI TOWER itself takes up less floor area than traditional mobile towers. 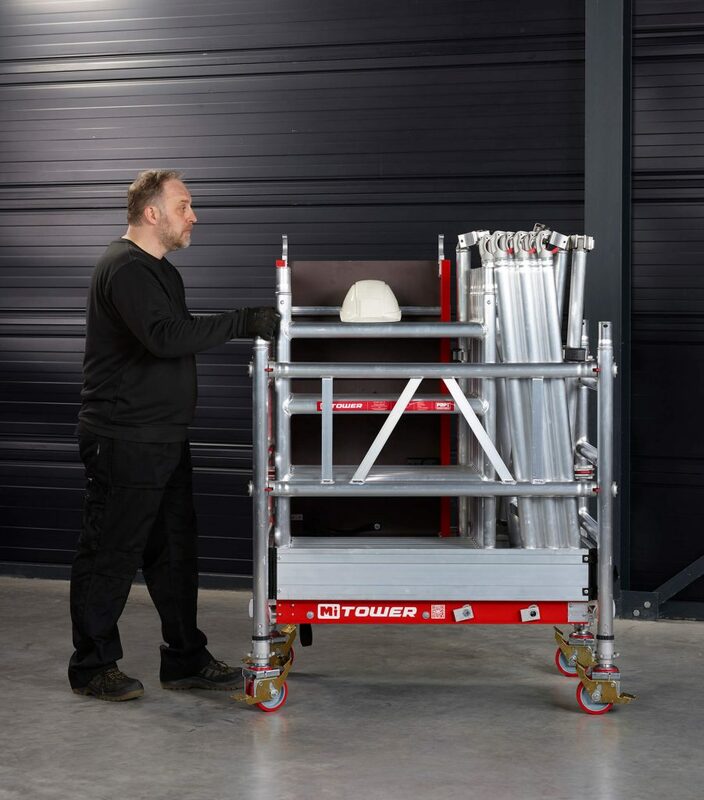 Cleverly designed stabilisers can reduce the floor space used by up to 65%, without compromising on working platform size. 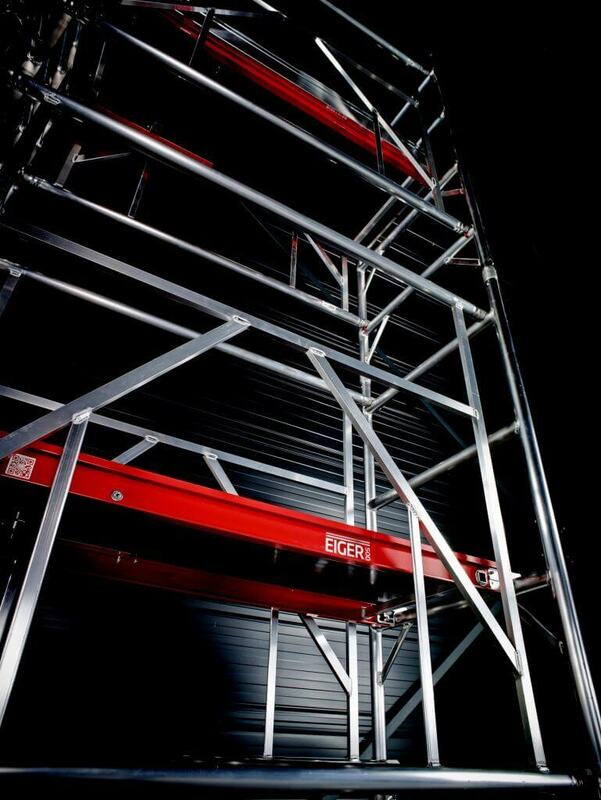 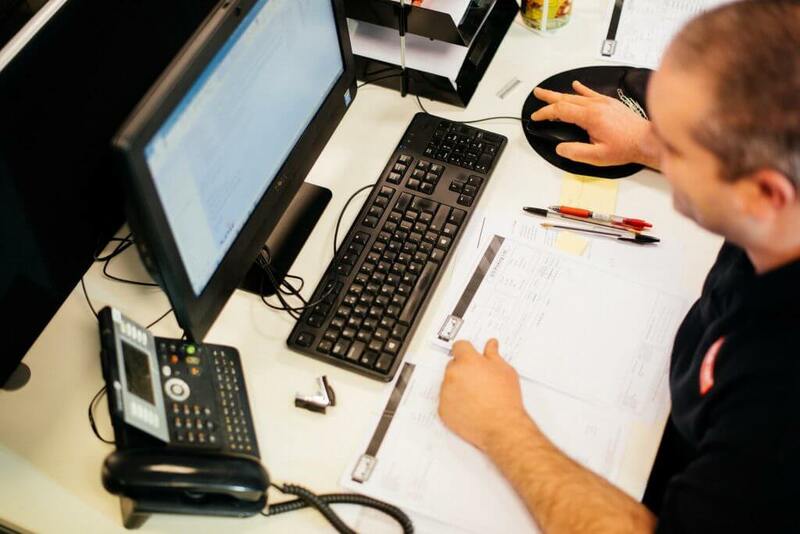 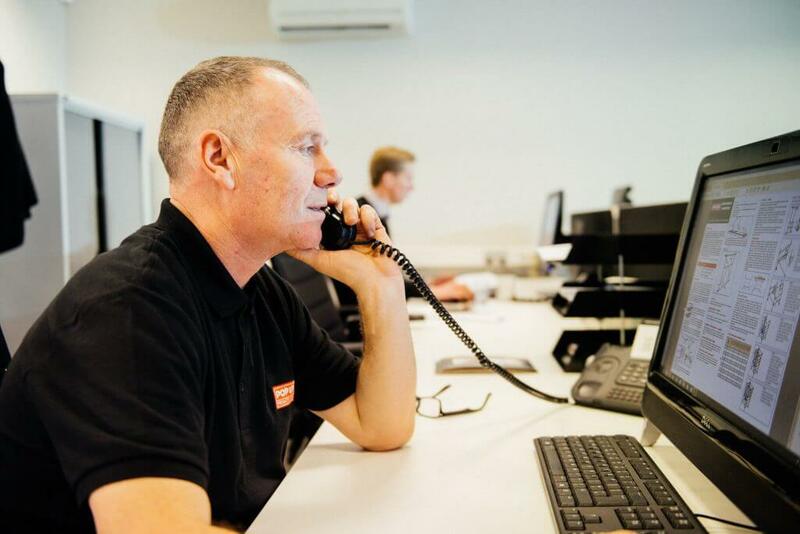 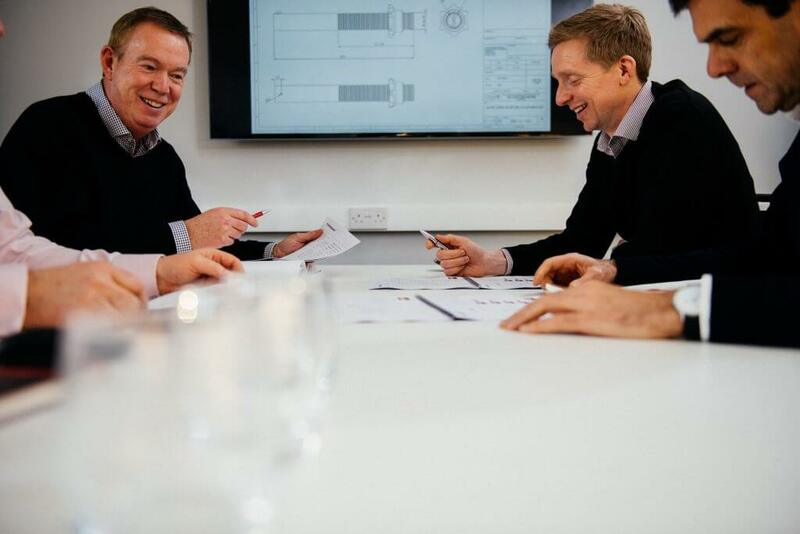 The MI TOWER is a versatile, EN1004 compliant for both internal and external use.